Walking Chair Design Studio has been developing products for Marien Apotheke Vienna since 2003. 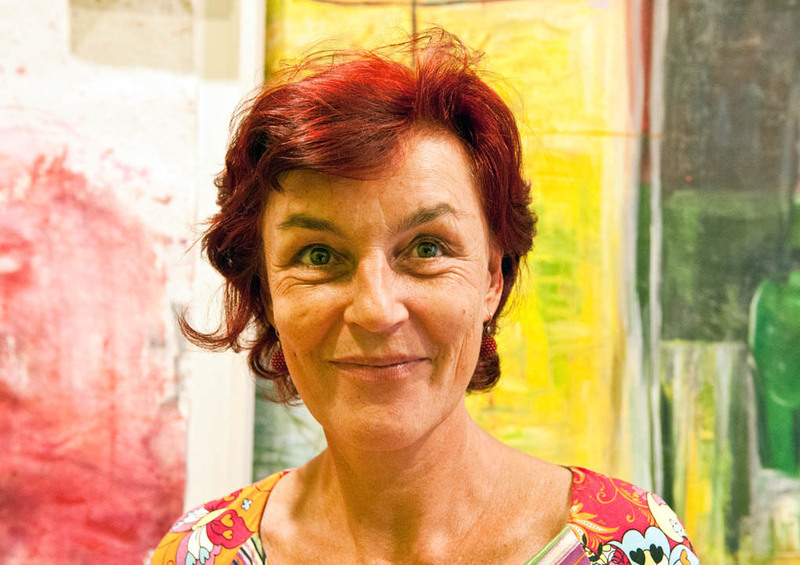 Pharmacist Karin Simonitsch was the studio's first customer and has a distinct sense for innovative pieces. In 2014 the pharmacy has changed the compete interior design with a more customer based sales room for meeting and advising the clients. The room was intended to be colorful, warm and totally different from a casual cool, white looking for pharmacy. 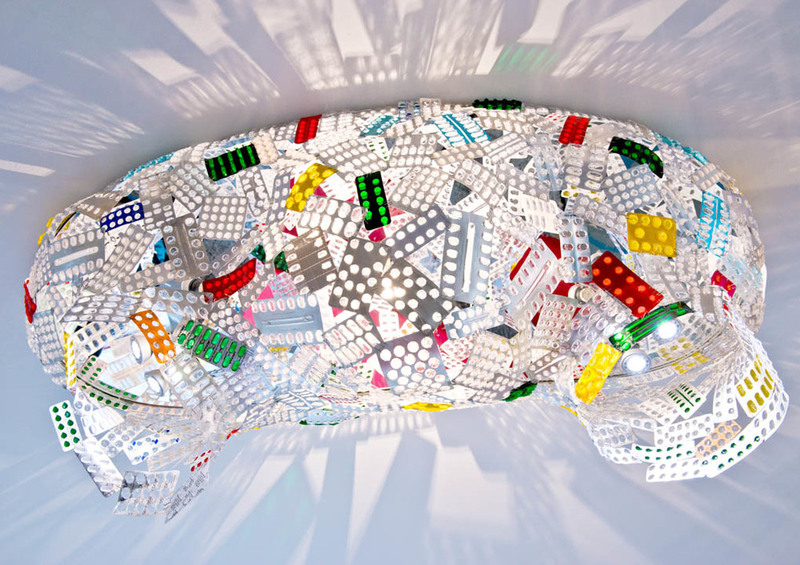 The ceiling is made with a Sister Blister light installation full of recycled empty, recycled, clean pharmaceutical tablet blister-packaging. 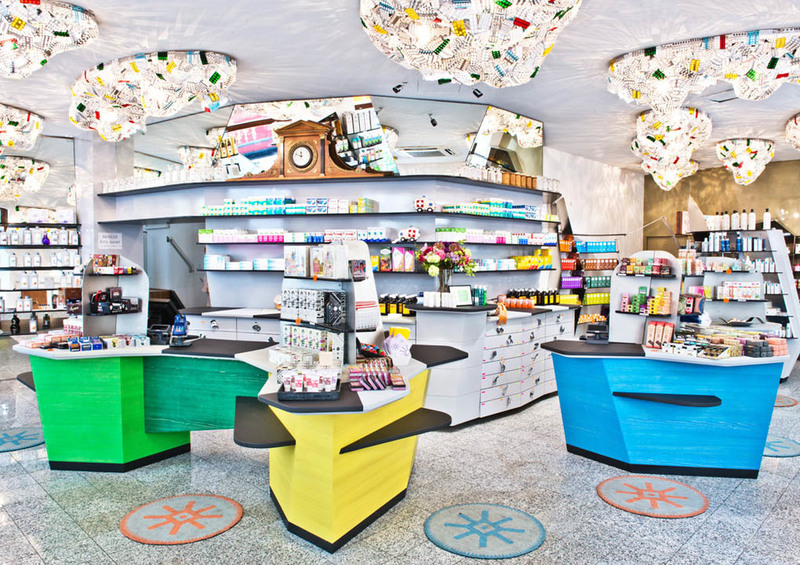 MARIEN APOTHEKE WIEN – THE SHOP The raw material for Sister Blister is supplied by the pharmacy which assembles individualized medication for retirement homes and hospitals (specified per person, per hour of day, per week). The tablets are thereby pushed out of their packaging in an automated way, saving time and money for the public health service and institutions. This process generates a by-product — the empty blister packaging. 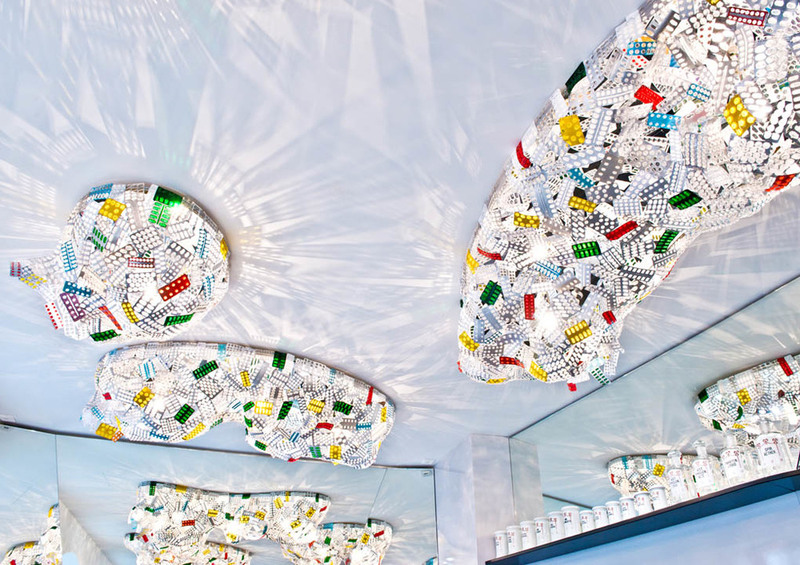 Made from aluminium and plastic for the pharmaceutical industry, this combination of materials poses a problem for recycling but perfect for the use with lights. Aluminium reflects the light, the translucent, often colored plastic refracts it in an ideal way so that Sister Blister works wonderfully and provides a cosy and pleasant atmosphere even when "cold" sources of light are being used. The objects create a fantastic shadow theater and attract a big audience much like moths are drawn to a flame. Sister Blister was invented in 2007 by Fidel Peugeot & Karl Emilio Pircher. 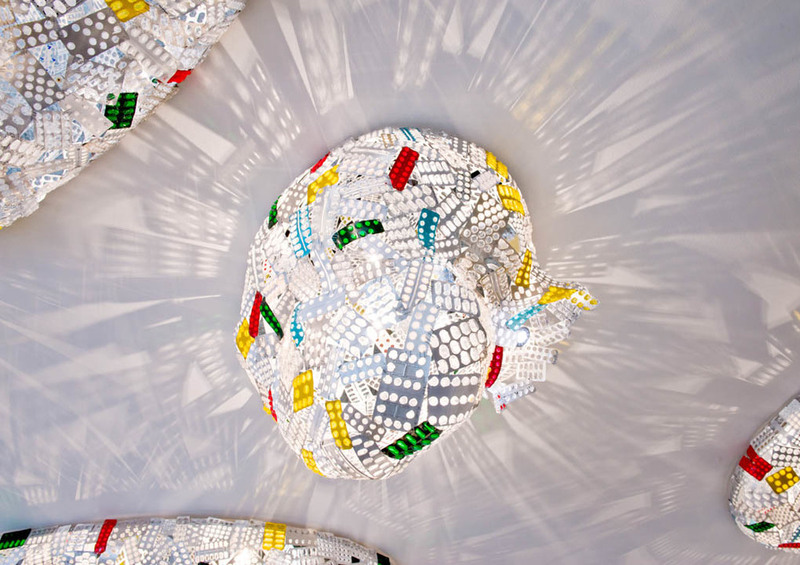 Since 2008 the light objects have been shown in museums and exhibitions all around the world. In 2012 the Brain Lounge as part of CEMM-Research Center for Molecular Medicine of the Austrian Academy of Sciences was equipped with a sky of Sister Blister. 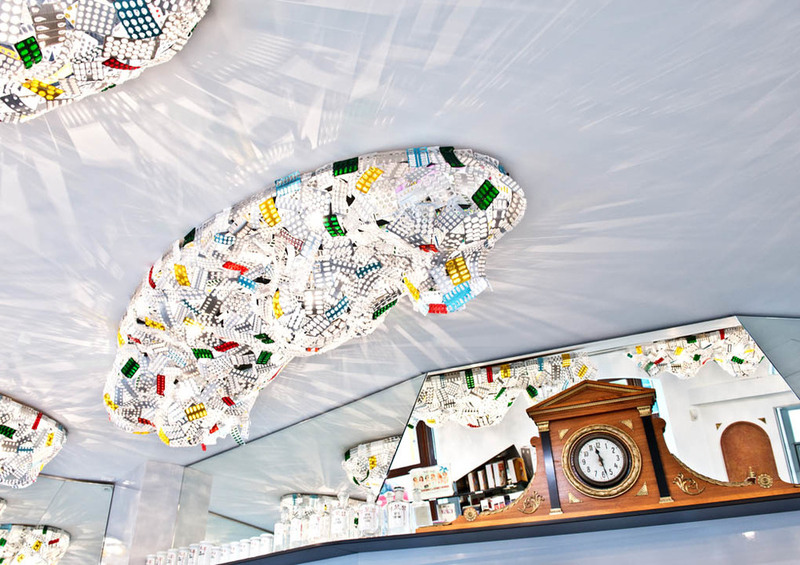 In 2014 the showroom of Marien Apotheke Vienna will be filled completely with a Sister Blister installation for their 105th anniversary. The Sister Blister family ranges from floor lamps, ceiling lamps, wall lights, desk lamps to whole light installations. 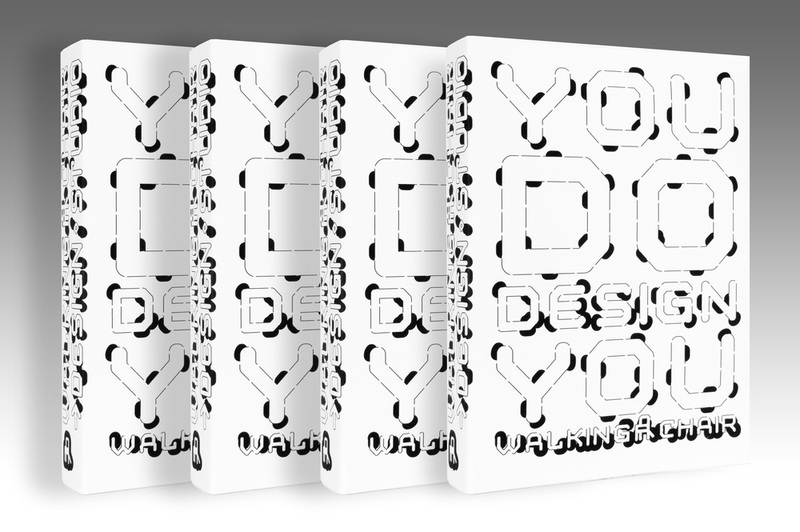 All objects are one of a kind and handmade upon demand by the designers. A silver mirror for your wall. Size:60x55cm. Come and visit us in our shop — a former Viennese Coffee House. 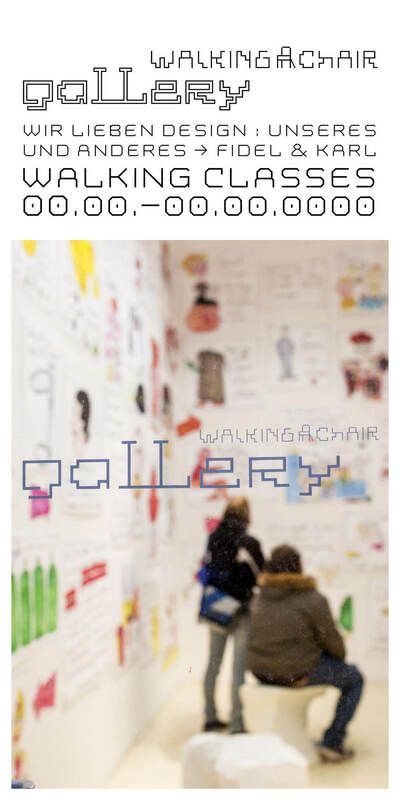 The world of Walking Chair on 512 pages.